Are you celebrating 8 Years of Love? 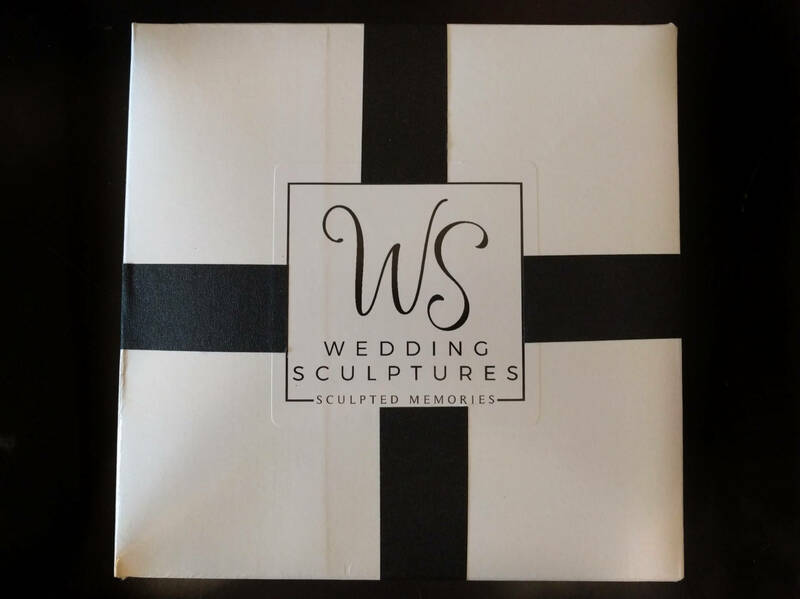 Did you know that traditionally a bronze gift is given for a 8th year wedding anniversary gift? 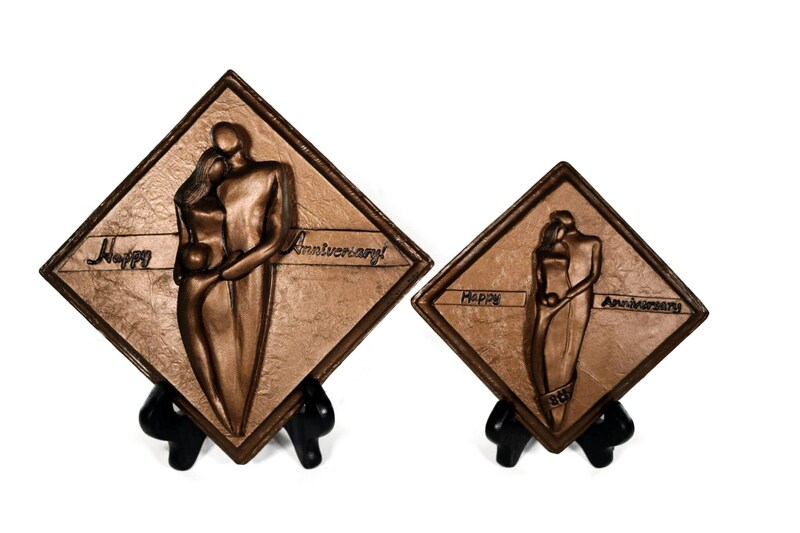 Celebrate your 8th anniversary with a bronze plaque that represents your family of four! 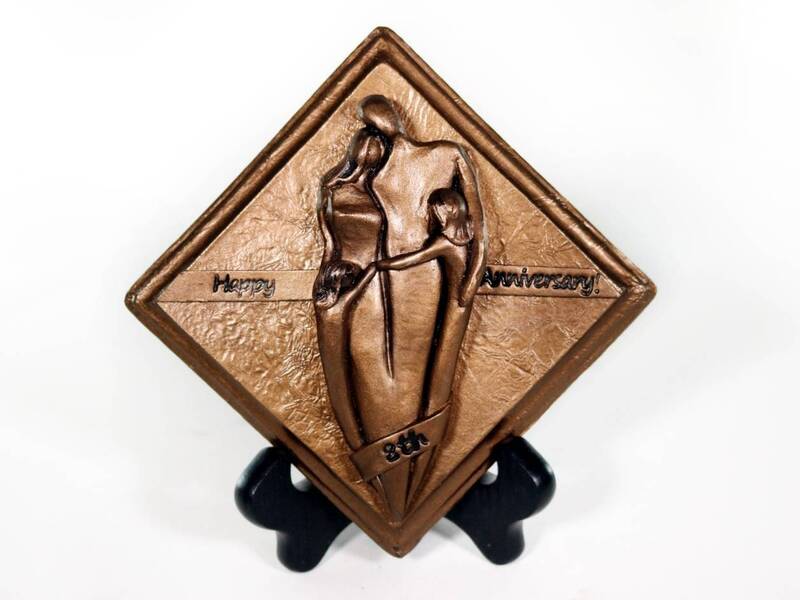 The Family of Four Anniversary Plaque is cold cast bronze with an bronze metal coating. The original design was sculpted out of clay. Then a mold was made from the clay sculpture. 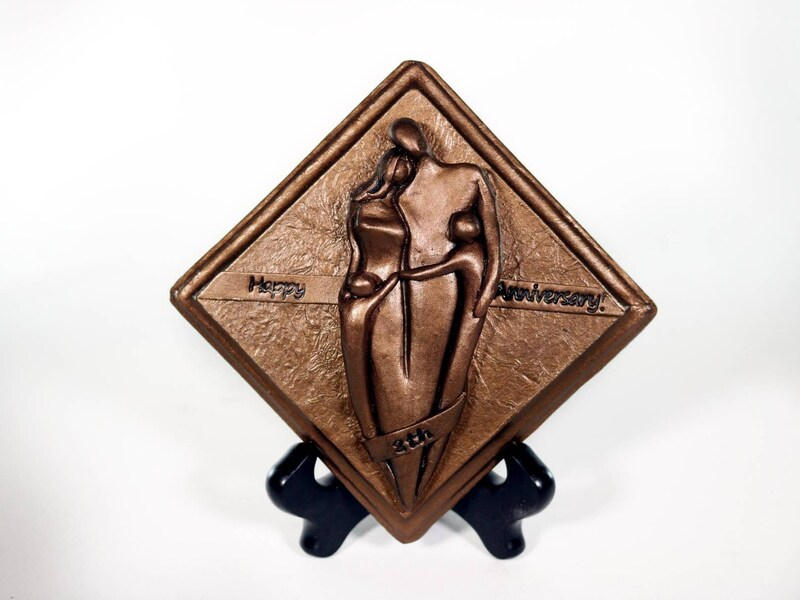 Finally, I cold cast bronze in the mold and finish the piece with an bronze metal coating. 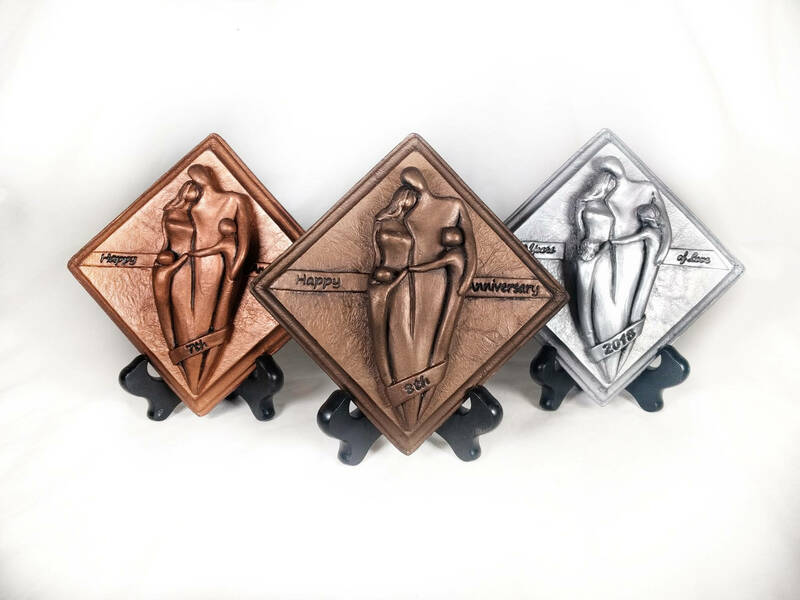 The small 8th Anniversary Plaque is 7" across/top to bottom (or 5" along the side of the diamond shape) and the large is 9" across/top to bottom (or 7" along the side of the diamond shape).